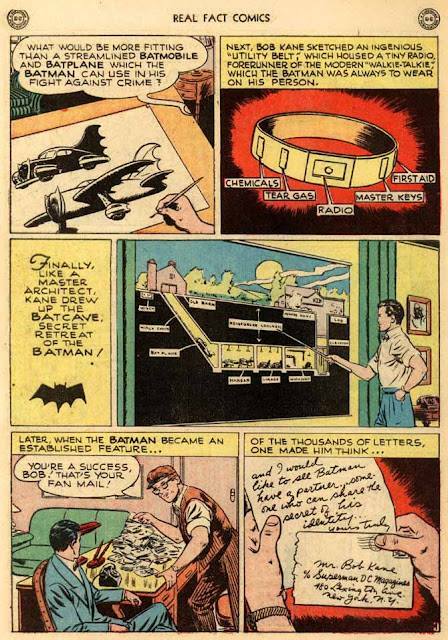 It’s the Bob Kane version of how Batman was created. With thanks to Stephen Bissette for posting pages he got via Hernán Sergio González. 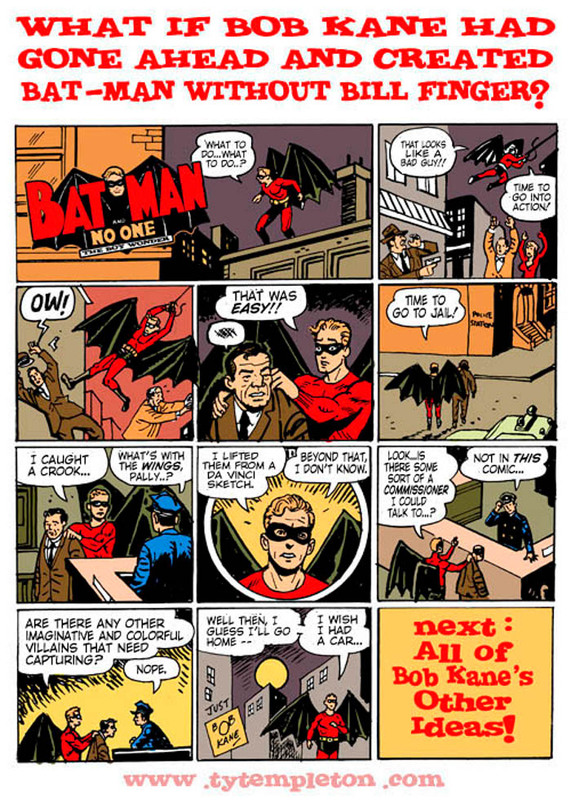 It is well documented (by Bob Kane himself even) that Kane had colleagues that worked with him on Batman – one of which was Bill Finger. Granted, as Kane states, that was 15 years after Finger had died. In 1965 Kane was more vehement in how little Finger had done. 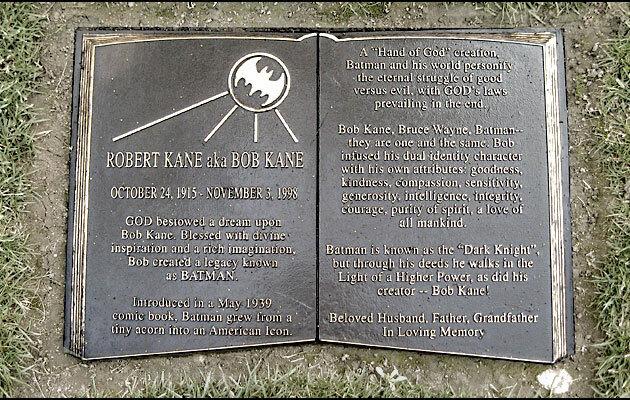 Here’s an excerpt from a letter Bob Kane wrote to the fanzine Batmania, where Kane refutes the extent of Finger’s contribution. 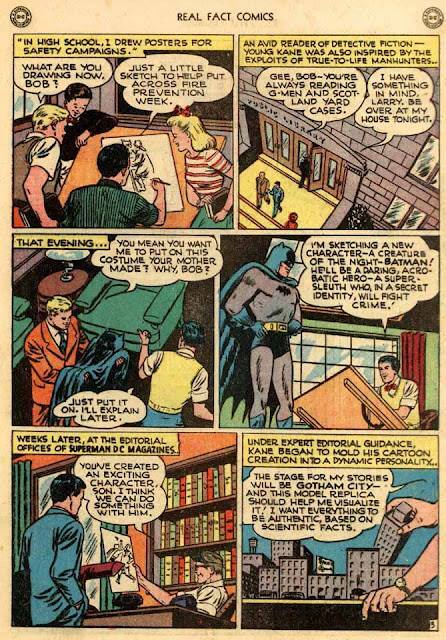 “The truth is that Bill Finger is taking credit for much more than he deserves… The fact is that I conceived the Batman figure and costume entirely by myself – even before I called Bill in to help me write the Batman. I created the title, masthead, the format and concept, as well as the Batman figure and costume. 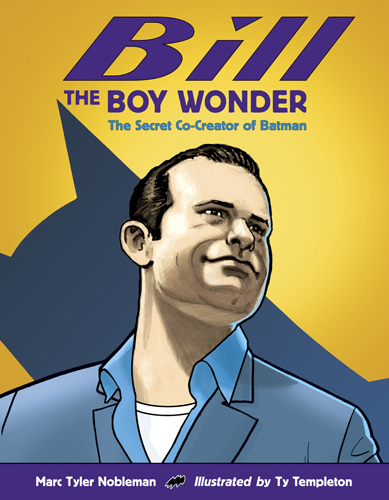 Robin, the boy wonder, was also my idea – not Bill’s. The only proof I need to back my statement is that if Bill co-authored and conceived the idea, either with me or before me, then he would most certainly have a by-line on the strip along with my name, the same as Siegel and Schuster had as creators of Superman. However, it remains obvious that my name appears on the strip alone, proving that I created the idea first and then called Bill in later, after my publisher okayed my original creation. Interesting that Kane lays all the fault of “time sometimes blurs the memory” at Finger’s feet and not his own. Words that were too little too late to aid Finger who died poor and alone at age 59. Note: This according to Marc Tyler Nobleman’s blog. Then of course there’s Kane’s epitath written on his gravestone. The following rebuttal is from Ty Templeton. 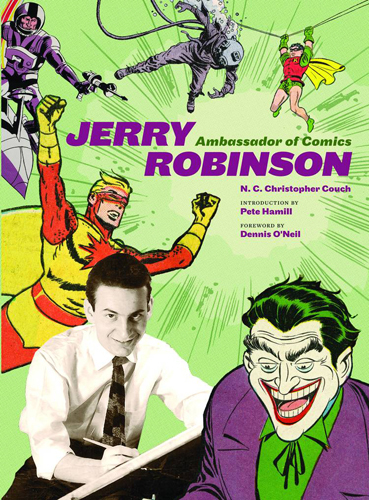 Next up is Jerry Robinson – the man who came up with Batman’s most memorable villain, the Joker. Jerry Robinson with some of his iconic art. 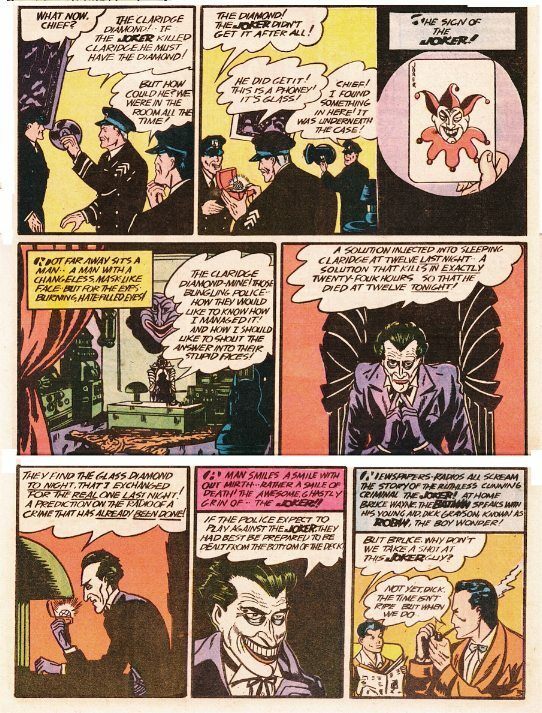 The Joker’s first appearance from Batman #1. 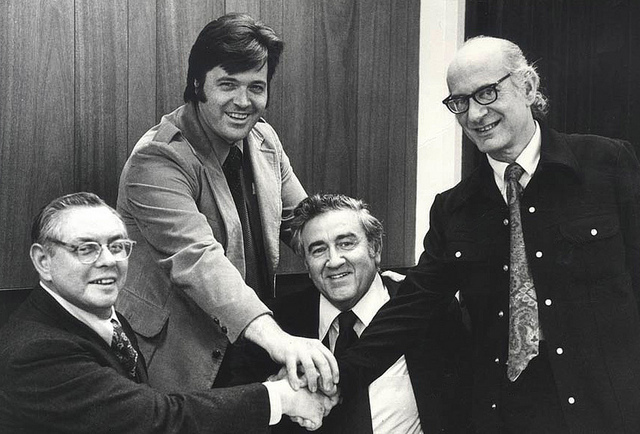 Jerry Robinson was also a champion of artists’ rights. In the 1970s he helped lead attempts by writer Jerry Siegel and artist Joe Shuster to seek compensation for Superman – a character they created. In an interview with the Village Voice, Robinson talked about the lengths he went to in order to get this accomplished. “So I called everybody I knew, as did [comic-book artist] Neal Adams. We got write-ups in Mexico, London, Canada, the Washington Post, and the New York Times about the plight of Siegel and Shuster. All of that fed into negotiations with Warner [Communications]. The [first Superman] movie was in production — that was the big leverage for us. They didn’t want any bad publicity. We met every day with their lawyer. Jules Feiffer recommended his lawyer, who we got pro-bono. I called Jerry with progress reports, and we’d gotten settlement money for them, lawyers’ fees, health plans, and annuities for so much a year, and we were trying to improve each of those. Toward the end, Jerry [who’d had a history of heart attacks] said, “Settle for the best you can. It’s no good if I’m gonna pop off tonight — I need it for my wife and child.” So I knew the next day we had to settle. Joe Schuster and Jerry Siegel seated. Neal Adams and Jerry Robinson standing. 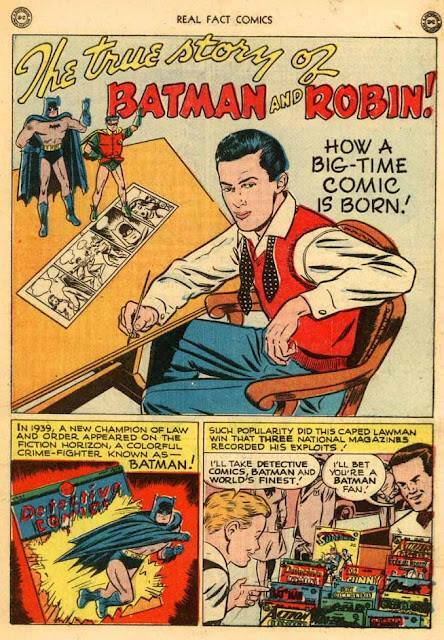 When the interviewer from the Village Voice brought up Bob Kane and his habit of taking credit he didn’t deserve, Robinson’s thoughts immediately went to Bill Finger. 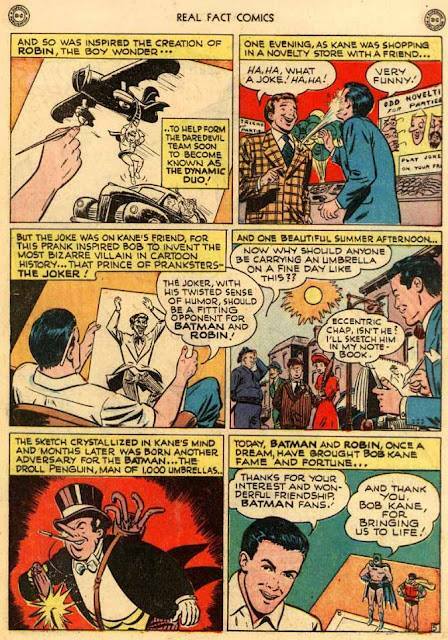 He (Bob Kane) didn’t even give Bill Finger credit. That’s the thing that disturbed me the most. That’s why I founded the Finger Award in his honor [in 2005]. We give it to a writer who’s passed on and to a current writer, in his memory. I credit Kane and Finger together — they really co-created Batman. 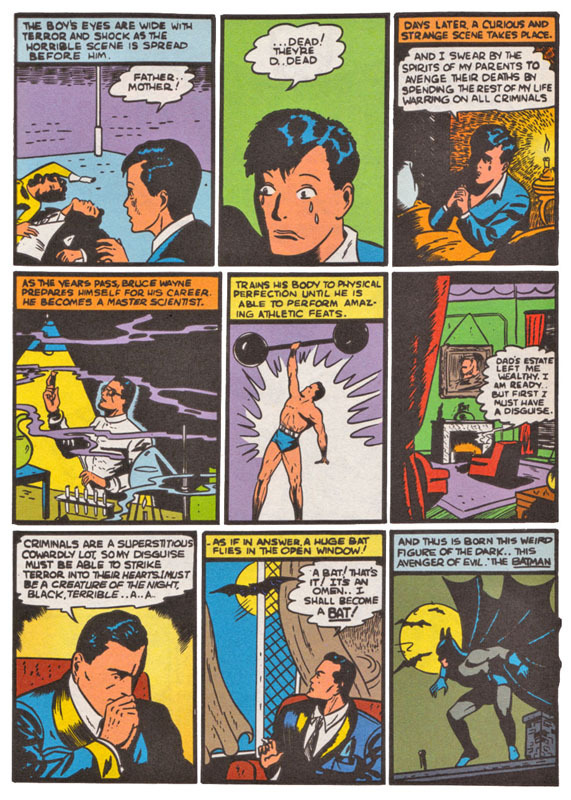 The first Batman stories, when the mythos was created — Gotham city, the murder of Bruce Wayne’s parents — that was all Bill. He set the scene. The fight for creator credit and compensation in comics has been an ongoing battle since the industry began. The winner for the most part has been the publishers and corporations who have deep pockets and retain expensive lawyers. Things are definitely better than they have been in the past, but I don’t know how much that is actually saying with how bad it was to begin with. For more in that regard, check out these previous posts. Jim Keefe is the current artist of the Sally Forth comic strip, he is also the writer and artist of the Flash Gordon comic strip - both available at ComicsKingdom.com. 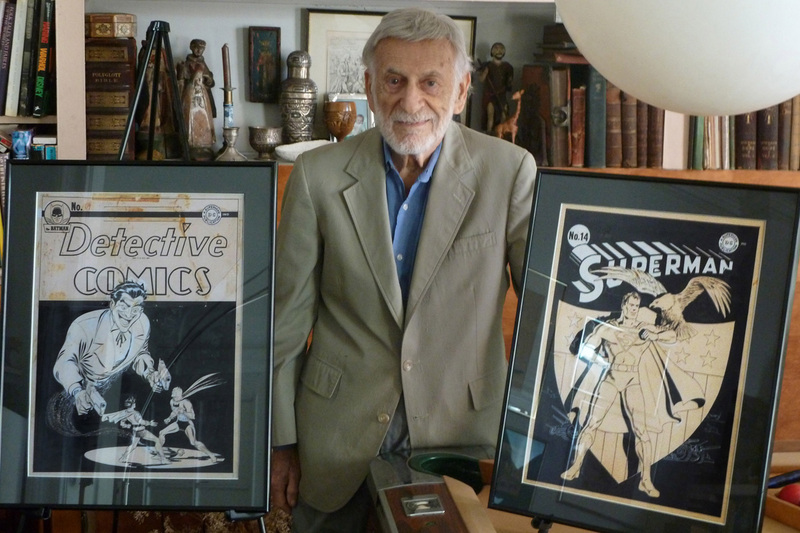 A graduate of the Joe Kubert School, Keefe likewise teaches Comic Art. Teaching and speaking engagements include SVA in Manhattan, Hofstra’s UCCE Youth Programs, The University of Minnesota and most recently the Minneapolis College of Art and Design. 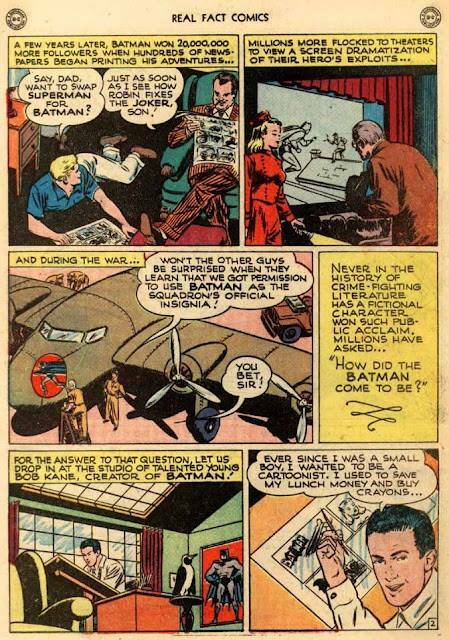 This entry was posted in Artist Spotlight, Bill Finger, Jerry Robinson, Ramblings & Reviews and tagged Batman, Bill Finger, Bob Kane, Jerry Robinson. Bookmark the permalink.